I kindly received On The Edge in exchange of an honest review by the author. 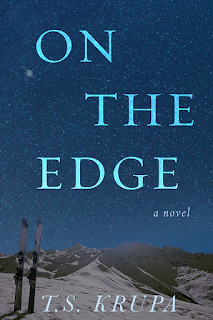 I was lucky enough to be gifted an ARC On the Edge to be part of this blog tour. It has been six years since Stefan, Andrea Parker's husband, got killed in action. Andy is still picking up the pieces and raising their daughter Hayden Grace on her own has been anything but easy. 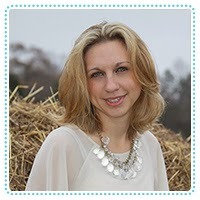 Andy is working hard as a senior marketing associate at Unique Aspects during the week in Boston, on the weekends she works at Mount Sunapee, teaching ski lessons to cover the bills and afford Hayden Graces passion for snowboarding. Hayden Grace is fifteen and an avid snowboarder, who is hoping to win her first national competition, but since the death of her father something seems to be holding her back. After finding a letter from Stefan after his passing seem to give her the confidence she needs to pull off a qualifying run. When Paul Westcott, professional snowboarder, is crosing Haydens and Andys path, they see that letting go of the past could lead them to a much happier future and maybe a little romance along the way too. Will Andy be able to find the happiness she deserves? What a start of an incredible journey. I have fallen in love with this story, which first brought sadness, then smiles, lots of humour and endless amounts of love. T.S. Krupa writes beautifully. Krupa’s writing is flawless and reads effortlessly. 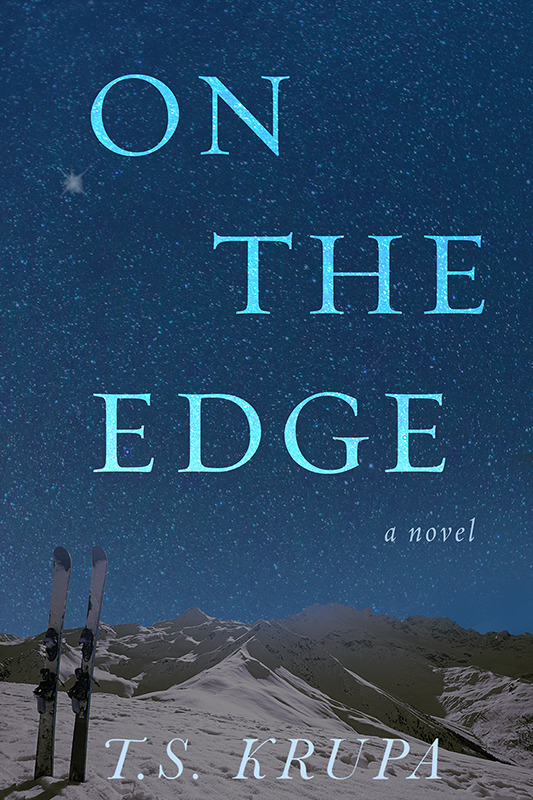 On the Edge is beautifully crafted and the characters are well developed and the plot line addictive. I cared about the characters from the start and was swept up in their problems. People say time is a great healer, well maybe sometimes it takes a little more than time. Love can be found in the strangest of places, and sometimes destined to be. I hope you all take this journey of loss, friendship, love and hope. Thank you for sharing such a well written story which I have enjoyed thoroughly, I am sure it will be a success as many readers enjoy a beautiful story. I have to be honest about one thing here. 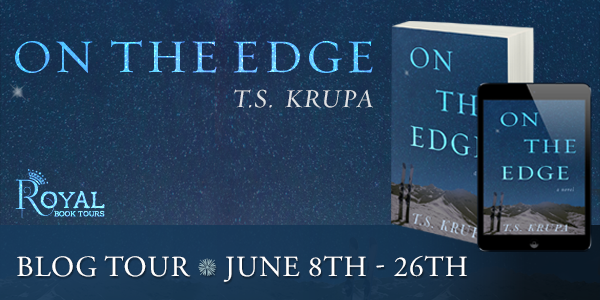 On the Edge didn't have the same emotional impact on me as Krupa's first novel, Safe and Sound. Maybe that is the reason why it left slightly dissapointed. Nevertheless I think Krupa is a brilliant writer. She has become one of my favorite authors. Remember this author's name. We shall be hearing a lot more about her! Thanks for your participation in T's Book Tour, Isabell. You're a wonderful host! Hope to work together again soon!! !